A massive fire has erupted in Orlando, Florida – a city still rattled by Sunday’s mass shooting at a gay nightclub. Construction materials caught fire on International Drive, just north of Walt Disney World, reported Orlando’s My News 13, citing the Orlando fire department. The fire was thought to have broken out at Wet ‘n Wild, the longest-operating water park in the US that has been an Orlando fixture for over 25 years. However, the blaze appears to be at an off-site construction area, used to store water slides for Volcano Bay, a water park that is planned as an addition to the Universal Orlando Resort, reported the local news portal Orlando United. 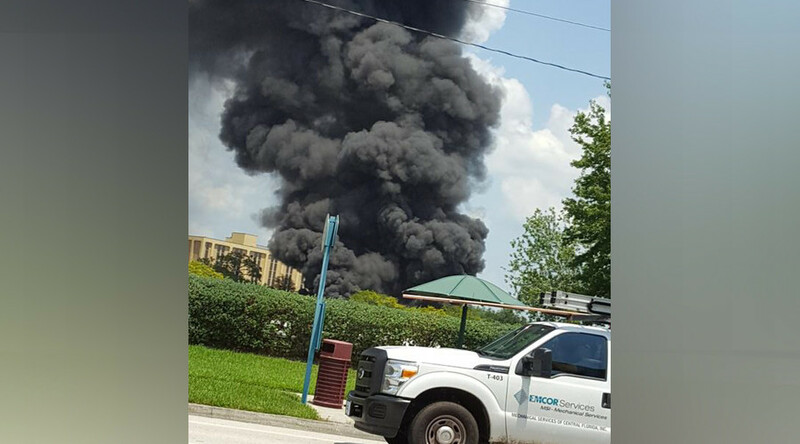 The fire has been put out, the Orlando FD reported shortly after 3 p.m. local time. Eight units responded to the incident, and there were no injuries.